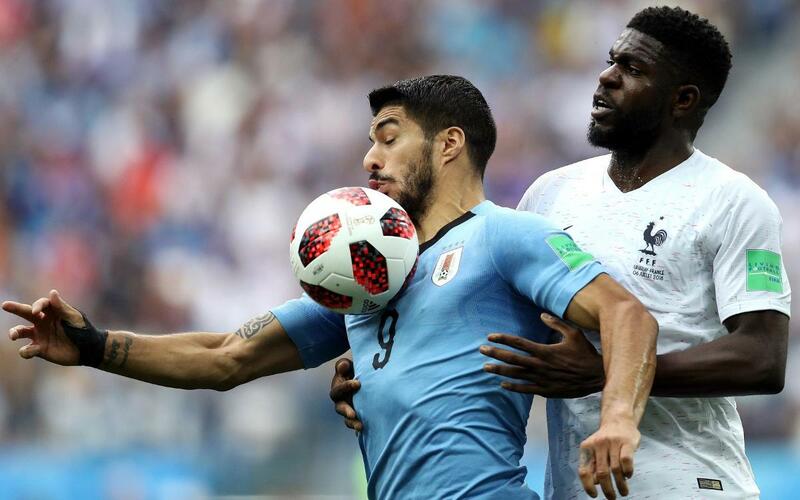 Samuel Umtiti and Ousmane Dembélé’s France and Thomas Vermaelen’s Belgium are through to the World Cup semi-finals, but Friday marked the end of the road for their victims, Luis Suárez’s Uruguay and Paulinho and Philippe Coutinho’s Brazil. France and Belgium go on to meet in the first semi-final on Tuesday at 8.00pm CET in Saint Petersburg, with Barça guaranteed the presence of at least one of our players in the grand final in Moscow. The first of the two games got off to tight, cagey start. The Uruguayans were as rock-solid as ever in defence, but their rearguard was eventually broken by Raphael Varane – and as the South Americans were forced forward in search of an equaliser, Antoine Griezmann was able to make it 2-0, with a little help from a goalkeeping error. Suárez and Umtiti were both on for the full ninety, while Dembélé came on for Kylian Mbappe in the final minutes. The evening game was vibrant from the word go, with both sides eager to please with fast, attacking football. The Europeans took the lead courtesy of a Fernandinho own goal from a corner, and on the half hour De Bruyne fired home a tremendous strike on the back of an equally impressive run from Lukaku and the Red Devils were two-up. Brazil pushed hard to get back into the game, and we were set up for a tense finale when Renato Augusto, just two minutes after coming on as a replacement for Paulinho, managed to pull one back with a quarter of an hour on the clock. With Coutinho at the heart of the Brazilian fight to get back into the game, Belgium brought on Vermaelen to help tighten things up at the back and hold on for a famous win. So Brazil will have to wait before they can put a sixth star on their jersey, while Belgium are back in the semi-finals for the first time since 1986. Can they go one step further this time?